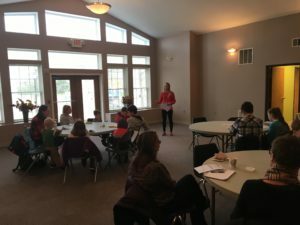 All four of the pediatric nutrition experts at Feed to Succeed enjoy speaking to groups of all sizes around Chicagoland and especially in Chicago’s Northshore, where we are located. We speak to students at schools and to parents, as well as to physicians and allied health professionals–both on site at our office or out in the field. We are all available to present on a variety of nutrition topics in ways that are entertaining and informative. are available for all topics pertaining to pediatric nutrition. Please fill out the following form to request a group presentation.